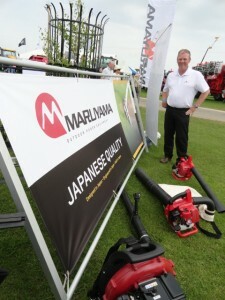 After a successful debut two years ago, DMMP Limited from Leicestershire is returning to SALTEX in September to launch products from manufacturing partners Maruyama Japan and Earthway Products Inc.
DMMP managing director Marcus Palmer explains: “SALTEX is a fitting event to show the industry why Maruyama and EarthWay are global leaders. Not only will visitors to stand A40 see new and proven products but they will see practical demonstrations.” Expecting the stand to be busy, Marcus and the DMMP team will be running a competition which will see one person win a £500 outdoor power tool voucher to spend with DMMP. The newest Maruyama product will be officially launched at SALTEX plus DMMP will be announcing details of Maruyama’s new UK unrivalled and unmatched five year commercial product guarantee. 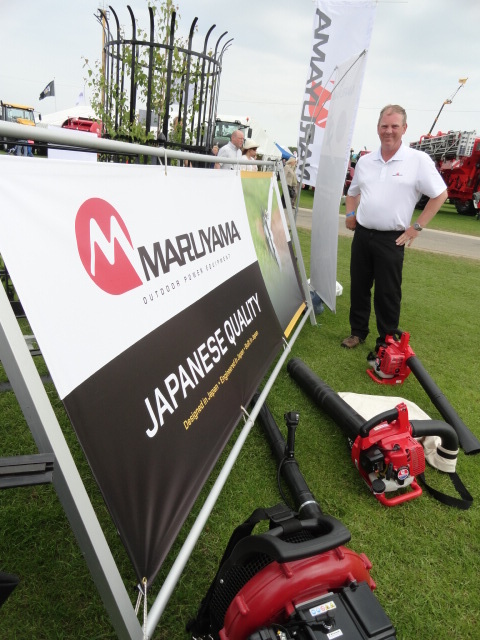 Recently introduced to the UK, Maruyama is the leading Japanese manufacturer of pumps, sprayers and outdoor power equipment. The hard-working power tools are all designed, engineered and manufactured in Japan. Marcus Palmer concludes: “We are really looking forward to SALTEX and presenting these new products to the UK amenity market as we are seeing increasing demand for high quality products where value for money is measured in lifetime use and performance”.